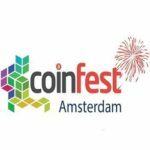 Bitcoin Wednesday’s Amsterdam CoinFest edition on 4 April 2018 will feature Peter Alfred-Adekeye, CEO of Multiven, who will present his ICO to support a blockchain-based marketplace for IT products. Peter considers Multiven the first and only independent provider of software management, maintenance and cyber-defence services for Internet networks. The venture may have reached this distinction in a $3 Trillion market by challenging multinational equipment manufacturers like Cisco and HP, a strategy that led to lengthy court proceedings and Peter’s year-long arrest. Peter persisted and prevailled against the odds, and Cisco eventually relented. Launch a blockchain-based open exchange for new, pre-owned and decommissioned computer and Internet network hardware and software. The objective of the marketplace is to lower the cost of operating a node so that people in emerging markets can acquire and operate them more affordably. Provide free cyber-defense for Bitcoin and Ethereum nodes and their Internet gateways, by using some of the transaction fees generated in the marketplace to distribute incentives to a decentralised global pool of Internet experts, security researchers and cryptographers who would maintain and protect those nodes. Expand the decentralisation of Bitcoin nodes into space by researching, designing (based on commodity hardware and open-source software), and launching into low-orbit, Bitcoin Nodes, powered by Delay-Tolerant Networking protocol. Peter Alfred-Adekeye is the founder and CEO of Multiven – the world’s leading provider of independent software maintenance, management and monetization services for all Internet network devices. He is also the inventor of Multiven’s cloud-based elastic engineering workforce — Pingsta, and mySolvr — its knowledge engine. Prior to founding Multiven and Postify, Peter was a Technical Leader at Cisco Systems in San Jose, California, where he led the team responsible for all critical source-code level software issues in Cisco IOS. He was in consulting engineering within Cisco’s Advanced Services group in London covering EMEA for strategic service provider clients with network assets in excess of USD$1 billion, for example, AT&T, Level 3, UUNet/WorldCom, and Global Crossing, to name a few. Before Cisco, he was a multi protocol escalation engineer at IBM Global Network Services in England. More recently, he founded Postify, an e-post-as-a-service platform for postal operators that powers their digital letterbox service and enables their customers to post and receive letters electronically with no paper or printing required. Peter holds a BSc in engineering from University of Ife, and has completed executive education in leadership, strategic planning and management, business development and entrepreneurship from Stanford University. Peter is a member of ENISA, the European Commission organisation tasked with formulating policies to secure the EU’s cyberspace. He also founded The African Network – TAN, a Silicon Valley headquartered 501(c)6 not-for-profit focused on fostering the growth of entrepreneurship, technology and human capital development in Africa and the African diaspora. 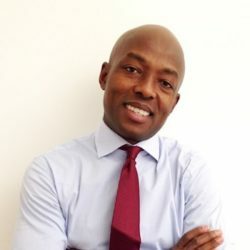 Peter Alfred Adekeye is the CEO of Multiven, who is launching a ICO to support a blockchain-based marketplace for IT products. His project aims to provide free cyber-defense for Bitcoin and Ethereum nodes and their Internet gateways.